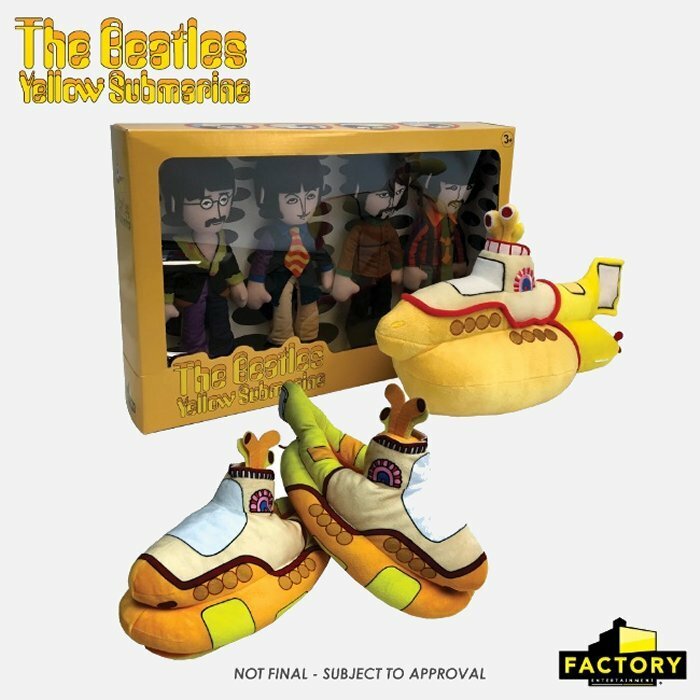 Factory Entertainment, Inc., announced this week that the company has entered into a multi-year licensing agreement with Apple Corps Limited to once again produce collectibles based on the legendary musical group The Beatles and their landmark animated film, Yellow Submarine. In the past, Factory produced some really cool items like the Alex Ross Yellow Submarine tin totes (seen right), and that relationship has been renewed. 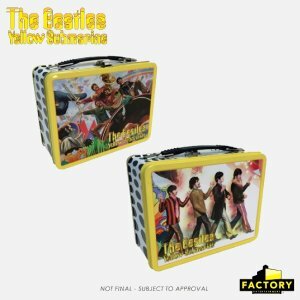 Factory Entertainment expects to release its first new Beatles collectibles in early 2019. Product categories include: Collectible metal miniatures; Plush (seen below in prototype form); Statues; Tin Totes; Towels; Bath Toys; Keychains; and Bottle Openers. Not content with that, Factory has also entered into a multi-year licensing agreement with CBS Consumer Products to produce collectibles for all Star Trek movie and TV titles. Factory Entertainment expects to release its first new Star Trek collectibles in Summer 2019. Product categories include: KUZOS™ Collectible Metal Miniatures; REVOS™ Stylized Vinyl Figures; Pawzplay™ Collector Plush; Desktop Environments; Bottle Openers; and Wine Stoppers. We don’t have any images for these yet, but they may unveil some at Toy Fair this weekend. Factory Entertainment’s Star Trek collectibles will also be sold on their website, and at various retailers.